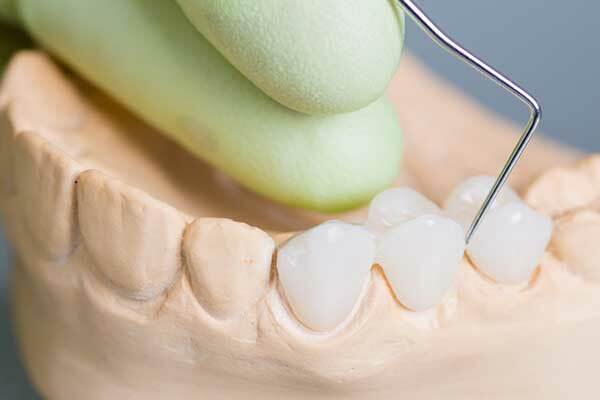 Composite fillings use tooth-colored material to restore teeth with cavities and maintain a natural appearance. Once the decay is removed, the tooth is filled with a composite material which is then cured using a specialized light to harden the material. Composite fillings can be done in one visit. An inlay or onlay is a partial crown restoration that can be placed when there is not sufficient tooth structure to support a filling but enough tooth structure left that a full crown is not needed. Inlays/onlays are made of porcelain, and they aesthetically and functionally replace the missing tooth structure. Inlays and onlays can be completed in one visit using our advanced CEREC® technology. A crown is a dental restoration that completely covers the outside of a tooth that is cracked, broken, worn down, or severely decayed. 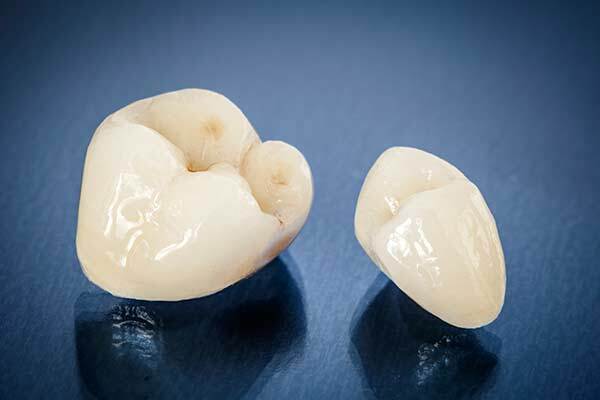 Crowns are typically made of porcelain/ceramic and can be completed in one visit using our advanced CEREC® technology. A bridge can replace missing teeth without the use of a denture or dental implant. A bridge is composed of two crowns and a replacement tooth or teeth. Crowns are typically placed on the teeth on either side of the space, with the fabricated tooth or teeth attached in between. For multiple missing teeth, an implant may be used to anchor the bridge. 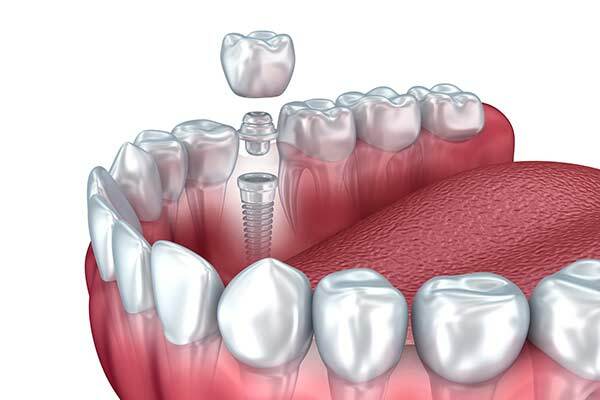 Dental implants are composed of three pieces: a small screw made of a biocompatible metal called titanium, an abutment which connects the screw and the final restoration, and the final restoration. The screw, which is placed in the jawbone, acts as a replacement for the tooth root, providing a strong foundation for fixed or removable replacement teeth. The screw begins to fuse with the bone over the course of a few months. After the fusing process, known as osseointegration, the abutment is inserted into the screw to allow for the permanent attachment of the restoration. A denture is a replacement for multiple missing teeth within the same (upper or lower) arch. A denture differs from a crown or bridge in that it does not rely on an existing tooth structure, and it completely replaces the missing teeth.